Foodhalla: Downtown Gilbert's Pomo Pizzeria A Delicious Spot! Love pizza? Have a craving for pasta? I might have a place in Gilbert just for you! When it comes to the things that I love in life, food is one of them. Food is something that I find fascinating because while it's something you simply eat to nourish your hunger, it's also an art form. With all of the ingredients we have, from black pepper to chicken, people have taken said ingredients and have create thousands upon thousands of succulent dishes and recipes for others to enjoy. Whether it be old family recipes from Sicily or ancient cooking techniques from Bangladesh, food brings people together. While I embarked on a food adventure with a friend of mine in Arizona's Downtown Gilbert, we stumbled upon a restaurant called Pomo Pizzeria Napoletana. Thanks to my friend's interest in having Italian that evening, we decided to try it out. Going in blind, I didn't know what to expect from the restaurant. It could've easily been some overpriced restaurant with not-so-great food, but to my surprise, it wasn't. Pomo Pizzeria has won me over as a customer, providing a memorable and welcoming experience to a newcomer. What did Pomo do for me to talk so highly of it? I'm glad you asked! Before I talk about the food and atmosphere, I want to talk about the staff. With a lot of restaurants, you'll find that the staff is for the most part nice and helpful with their customers. 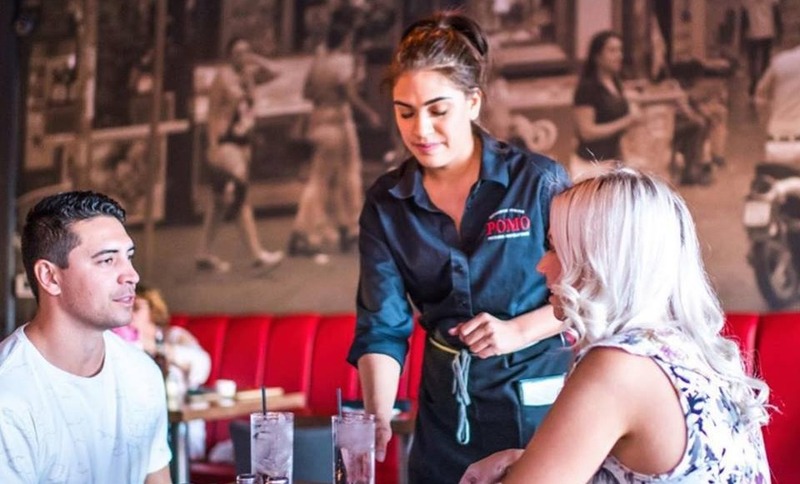 Downtown Gilbert's Pomo Pizzeria is a different story. The staff were very welcoming to my friend and I, almost giving off a homely vibe. It was almost as if they were welcoming us into their home, making us feel comfortable being there. Once we were seated, that's when I found myself even more impressed with the staff. I unfortunately can't remember our waitress's name, but she really shined as a person representing Pomo. She took interest in what we had to say and she even showed us a smile whenever she approached us. With her smile, it wasn't forced for the customer, it was honestly genuine. I give her extra credit for that! As for being attentive, she really shined in that as well. My friend finished his drinks quicker than I did, but for every drink he finished, almost immediately our waitress came by with a new drink in hand and removed the old glass from our table. Even while we ate, she came in at an appropriate time, asking us if our meal was delicious. A lot of times when I go to a restaurant, I'll get my food and before I have anytime to actually taste it, the server is already asking if it's good. At one point, I believe the manager (I'm not entirely sure, I assume so) came to our table and asked us if everything was tasting good, which I don't see managers doing that often so that was nice of him. I have a high appreciation for restaurants that have either an interesting or rather pleasant atmosphere. For Pomo, it was both. When I first entered the Downtown Gilbert restaurant, I was welcomed with an interesting photographic mural of what appeared to be Naples (or perhaps Little Italy, NY). Not only that, but I took notice of the restaurant's beautifully designed wood-burning oven, decorated on the outside with what appeared to be copper dots (don't hold me accountable, that's what it looked like to me). Once I was led with my friend to our table, I found the dining area to be quite nice, having a simple yet elegant look to it. The best part about the whole atmosphere vibe is that despite the restaurant having an elegant feel to it, it felt more homely than fancy. It felt like a place where you were actually wanted there and the experience was of vital importance to the owners. Because of that, I have more respect for them. The Food, Oh Boy The Food! Finally what you've been waiting for! The food was DELICIOUS! Like I said before, I didn't know whether or not Pomo was going to be overpriced and cheap with their food, or if the food was going to be delicious and actually worth paying a little bit more. Thanks to the chefs of Pomo Pizzeria Napoletana, they provided a warm and tasty meal, blending fresh spices and fresh baked dough for me to enjoy. For my first time at Downtown Gilbert's Pomo, I ordered the Calzone Napoletano, which turned out to be one of the best calzones I have ever had. The amount of ingredients that were inside the calzone didn't appear too little or too much. As for the flavors, it was quite appetizing. The overall calzone was mouthwatering good! I definitely know that next time I go, I'll have to try out their pasta. 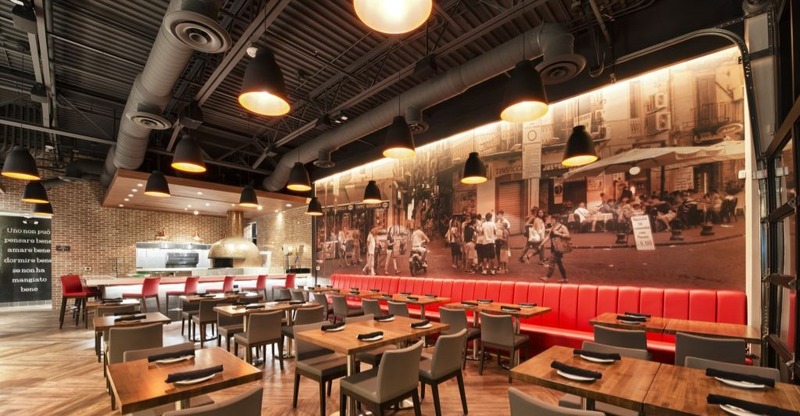 If you're looking for a great pizza place to go to, or even a place to get food with friends, family, loved ones, and or others, Downtown Gilbert's Pomo Pizzeria Napoletana is the place to go! 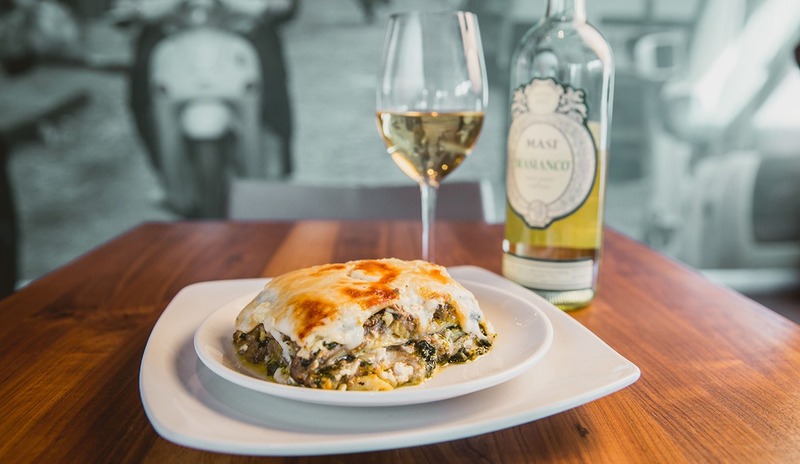 You can find the Italian restaurant at 366 North Gilbert Road, right next to the Zinburger. The prices aren't too terrible, you'll definitely get what you paid for, and the pizzeria will provide a rather enjoyable experience.